Denver is the hot spot for tech right now! Colorado is a leader in video game development, ranking ninth in the country, and Denver is among the top ten most-tech-concentrated markets in the U.S. This growing demand for high tech companies is giving rise to AR/VR businesses, offering services for many different kinds of products, including healthcare and immersive education. Denver has a tech talent labor pool reaching 6.2% as of 2018, compared to the national average of 3.5 percent and we are expanding quickly. We have a diverse tech culture and an outdoor philosophy in a beautiful city with breathtaking views, mixed with clean mass transportation all over Denver's surrounding areas. Webinars and training programs, so you can learn from the best in the industry. Access to VRARA’s directory with more than 4100 companies. Free tickets to VRARA events. Discounts to the best VR/AR conferences including VRLA, AWE, VR Summit and more. Get featured in the VRARA newsletter, blog, podcast, and social media. Unlimited access to case studies, research reports, and publications. Participate in industry committees to help shape the future of your industry. A full list of member benefits can be viewed here. 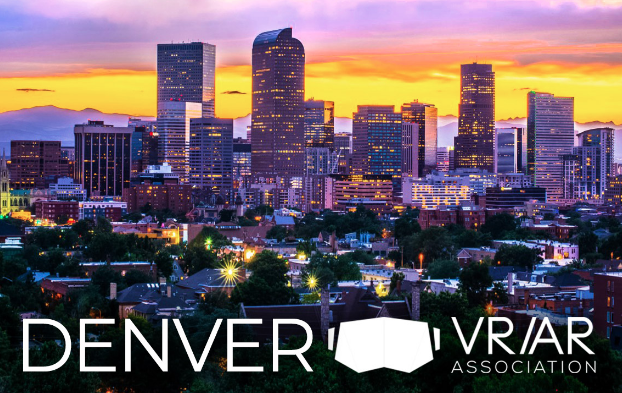 Brent Haldiman is the Vice President of Sales for Intervoke, a Denver-based full-service digital education studio specializing in custom interactive VR/AR software development. He is a sales leader who has worked within technology sales and marketing for 17+ years. Mr. Haldiman has been part of multiple fast-paced notable technology organizations specializing from SaaS, enterprise LMS, and eLearning solutions. Listed are several upmarket SaaS-based organizations he has worked for; Underwriter Laboratories, Xactly, BirdEye, FullContact, and Act-On. Mr. Haldiman is excited to build a culture around innovation and customer success harnessing the power of scientific enablement solutions that leverage immersive technology to deliver ROI and lower barriers. Tyler is the CEO and Co-Founder of Intervoke, a Denver-based full-service digital education studio specializing in interactive software visualization. Tyler creates clear and concise immersive educational applications and 3D animations for biotech, pharma, tech museums, universities, and medical device companies. Being an award-winning 3D animator and interactive educational content developer for over 25 years, he has had the opportunity to work with many high profile entertainment companies and global medical device and pharmaceutical companies. he is passionate about VR/AR technology and has been immersed within this genre since its inception, and this has helped him gain unique insights into the underlying trends of medical training and interactive education. He is a hyper-realistic digital artist that has taken scientific visualization to higher standards for use in realistically interactive immersive technologies for medical training.